NATS has announced the appointment of Paul Witkowski as marketing and communications manager. Witkowski brings a extensive background in the performing arts, social services and public administration. “We are delighted to have Paul in this position to serve the NATS community. He brings a versatile skill set that will help to leverage NATS’ presence on multiple levels, including national media, and add value to the resources that NATS delivers to its constituents and audiences,” said NATS executive Director Allen Henderson. 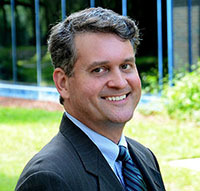 In his role with Jacksonville Symphony, Witkowski increased sponsorship and advertising revenue as editor of its program magazine and executed innovative media and promotional campaigns throughout 20 concert seasons. He also served as outcomes data administrator for Operation New Hope and as an analyst for the New York City Mayor’s Office of Operations. “This is an exciting time for NATS members, who recently returned from their highest attended national conference. I look forward to telling unique and compelling stories that position this organization as the standard bearer of vocal training and performance for the ultimate enjoyment of all listeners,” said Witkowski.